Karl Claxton’s recent Strategist  post suggests that Operation Pacific Assist to cyclone-damaged Vanuatu could provide an opportunity to ‘reset regional cooperation’. As ‘practical avenues for reviving habits of cooperation’, he suggests that humanitarian assistance and disaster relief (HADR) responses may provide an arena where ‘Australia and Fiji could each offer expertise and leadership without tussling for control’. As logical as such sentiments may appear at first glance, his suggestion obscures the fact that technical activities such as HADR are neither empty of political content nor consequence. Claxton’s attempt to find a way through current political stalemates still has the underlying whiff of ‘Australia must [continue to] manage the South Pacific’. This is unfortunate as his suggestion has merits—technical cooperation can help countries to work around thorny political thickets—but the ability to deliver HADR efforts without a tussle will be difficult in contemporary climes for a number of reasons. For one, a focus on disaster relief efforts may exacerbate one of the main areas of contention between Pacific Island states and Australia and New Zealand: climate change. Seen as an urgent priority within the Pacific, as expressed most vehemently in the Majuro Declaration , disappointment at a lack of preventive action from both Australia and New Zealand could be compounded by an apparent willingness to engage in the mop up of the consequences of climate change. More specifically, Greg Fry has talked about  the need for Australia and New Zealand to ‘stand back’ and for Pacific Island states to ‘stand forward’ in any revived Pacific regionalism. In disaster response scenarios, the difference in capabilities makes this difficult. Useful HADR resources, including logistical, medical and helicopter capabilities, are concentrated in the hands of a few. Australia, New Zealand and France have the strongest military capabilities based locally in the region, particularly with respect to air and naval assets. But herein also lies a potential option for action. Another option could be the creation of a Disaster Response and Coordination Unit (DRCU) within the Pacific Islands Forum Secretariat. Claxton’s notion that Australia and Fiji could jointly contribute to HADR efforts without tussling for control begs the question as to how the Pacific Island Forum could hope to lead such HADR efforts in such a way as to satisfy the agendas of these states—particularly as the Forum does not yet have a body dedicated to that function. Politics would surely play a role in determining priorities and methods in carrying out such HADR. Technical activities can’t escape this reality. Such a DRCU would therefore be a practical solution with big regional implications. It would contribute directly to the capacity building of regional governments and national disaster management offices to respond to natural disasters and coordinate disaster relief. The embedding of strong levels of practical support in HADR from metropolitan powers to such a Unit may also indirectly allow Pacific Island states a way to increase contributions to the funding of the Pacific Islands Forum, thereby responding to calls by the Winder Report (the 2012 Review of the Pacific Islands Forum Secretariat ) for Pacific Island states to up their financial stakes in the institution to further politically embolden member governments. This may help counter the current squeeze on Australian ODA  which emphasises aid as a means for advancing the national interest, as well as the likelihood that New Zealand will ‘remain an aid scrooge’ (Wood 2012 in this report ). The creation of a DRCU would have other clear benefits. Situated in Suva at the Forum Secretariat, it would work directly with Fiji’s Black Rock Integrated Peacekeeping Centre (BRIPC)—the integrated peacekeeping and disaster management training facility with a regional focus—providing policy and coordination support. 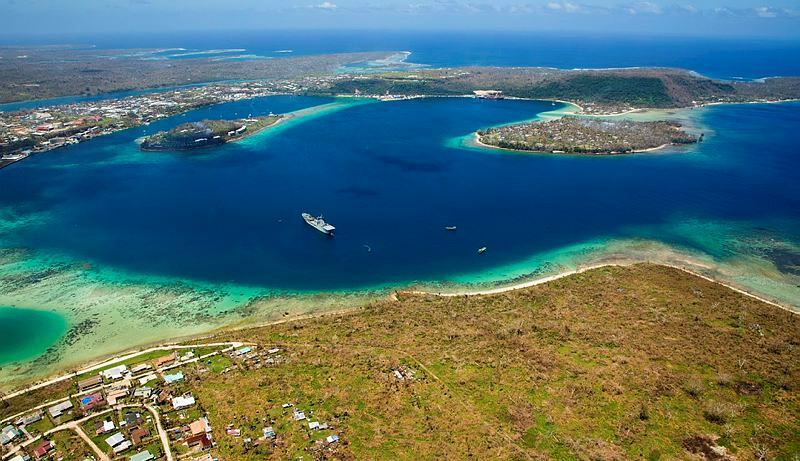 Strengthening Fry’s suggested ‘patchwork architecture of complementary rather than competing’ organisations, the DRCU would collaborate with the Melanesian Spearhead Group, the Secretariat of the Pacific Community, and the Pacific Islands Development Forum. Although Claxton and others  have dismissed the MSG’s proposals of a humanitarian and emergency response force, if the proposed regional peacekeeping force is established (and potentially trained at the BRIPC), coordinating the military response could become the joint responsibility of the MSG and the Forum’s DRCU. Such a Unit would be in keeping with the spirit of the new Framework for Pacific Cooperation . Resetting regionalism through reviving habits of cooperation will only work if the underlying issues are addressed. There is a weariness felt across the region stemming from Australia—and New Zealand’s—assumption of primacy. Fry’s call for a recapturing of the spirit of 1971 is a reflection of Pacific island leaders demanding a voice in regional affairs—a voice as yet without an echo from Canberra and Wellington. Bethan Greener is an associate professor at the School of People, Environment and Planning, Massey University and Anna Powles is a senior lecturer in security studies at the Centre for Defence and Security Studies, Massey University. Image courtesy of Department of Defence.